I think those of you who has not received the link may have just overlooked it. Or it got junked by yr email software/site. The email was sent out on 11 Apr 10:03 am and looks something like this. Further down, there is this: To thank you for your loyalty, we would like to extend a 10% discount on the Super Early Bird rate* - just for you! Click on your unique link below and input the coupon code "2017RUNNERSEB18" to register. And then a link to register. So go back and check. And if you still dun receive, I guess you can check with Ironman. Of cos, if you dun intend to register, then dun bother. Nope I checked my junk mail folder also. Don't have the email. Because I have poor relationships with people that have the standard chartered card, I have written to the SCMS Facebook page and they replied they will resend the email to me. And I do not understand why Ironman is saying 21km and 42km routes cannot be separate. 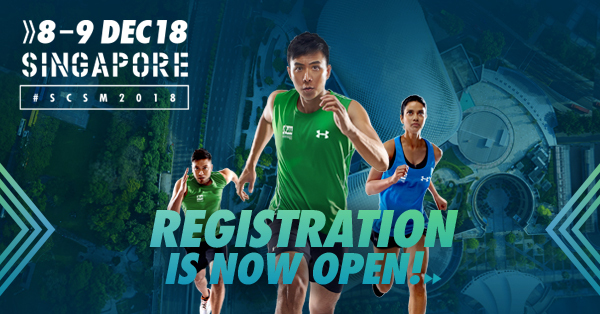 It has been done in the past, albeit the fact that USS doesn't seem to be the ideal venue to host a large number of 21km runners. - Baggage in majors takes less than 5 mins from check point to deposit. Trucks are clearly labeled by runners Bib. - For majors cut off point for first 15km by timing clearly defined. Sweep bus will come to pick up. - yes half hearted from govt. no money like F1. I believe the higher percentage of discount would take precedence? Standard Chartered credit card of 15% is better than loyalty rate of 10% ? Not sure how many uses the medal iTab services in the past years (basically just a sticker with the nett time that they will email you after the run to paste onto the medal) , but this year there is no more such service. Instead there will be a medal engraving service done directly on site after the run, and you can specify your name and timing. So how would one know the nett time immediately after the run to give to the vendor to engrave? Hmmm. Can be done but imagine the waiting time; city60 was a much smaller scale event compared to SCSM. Well, maybe SCSM wants to divert people's attention from the possible long waiting time for baggage collection. Sorry my bad. I mean we could get a timing by referencing to an app or website after crossing the finish line. But after resting up a while after running the 42KM , getting our baggage, we would still need to focus on finding the timing, pass the timing to the team to engrave, and wait for potentially another 30 mins to get it done. I just think the iTab service is more fuss free - maybe there is feedback that the sticker looks ugly and they prefer details to be really engraved into the medal. My guess is the medal engraving team will be given access to the runners' timings. So runners won't need to spend time hunting for it themselves. And this will ensure no cheating too? When i registered for this year SCMS, I pay extra money for the timing to be on the medal. So it for this engraving service on site ? I think it not for every runners only for those runners that pay during registration. Yup it is on site this year. No more mailing of the sticker timing. It is a paid service so there might not be a long queue. But engraving will take time so it is time that you need to spend waiting which you can use to get home earlier. Personally feel the printing of finishing time on the finisher tee for one of the past editions was still the best. Personally don't like having the finishing time so prominent on a shirt haha. Engraving on the medal is more of keeping and tracking how I did over the years. Kinda like an E-cert in a way to me. One week more to enjoy early bird rates if you have not yet signed up !!!! LOL can not guarantee anything liao. Medal design is out. Best in recent years. Hmm I can't really tell if that is sarcasm or not. Coz the medal design to me is not nice looking at all. Just 1 big merlion head...... and why is that even related to marathon other than the fact that is is representative of Singapore? Ironman Asia definitely has an interesting taste, last year design was still okay. It's definitely better than last year's - the worst in recent years. I have a weakness of circular design. Merlion may not be the best but I will take it. Coz the medal design to me is not nice looking at all. Just 1 big merlion head...... and why is that even related to marathon other than the﻿ fact that is is representative of Singapore? I agree. It doesn't look nice at all. But at least it doesn't look as stupid as last year's.